The number one question that needs to be answered when buying theater seating relates to the dimension and space requirements. 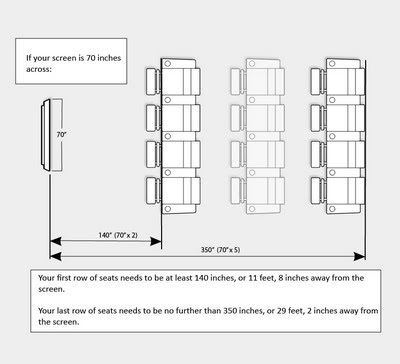 The two factors that need to be considered here are the size of the actual seats and the distance that one needs to sit from the screen. 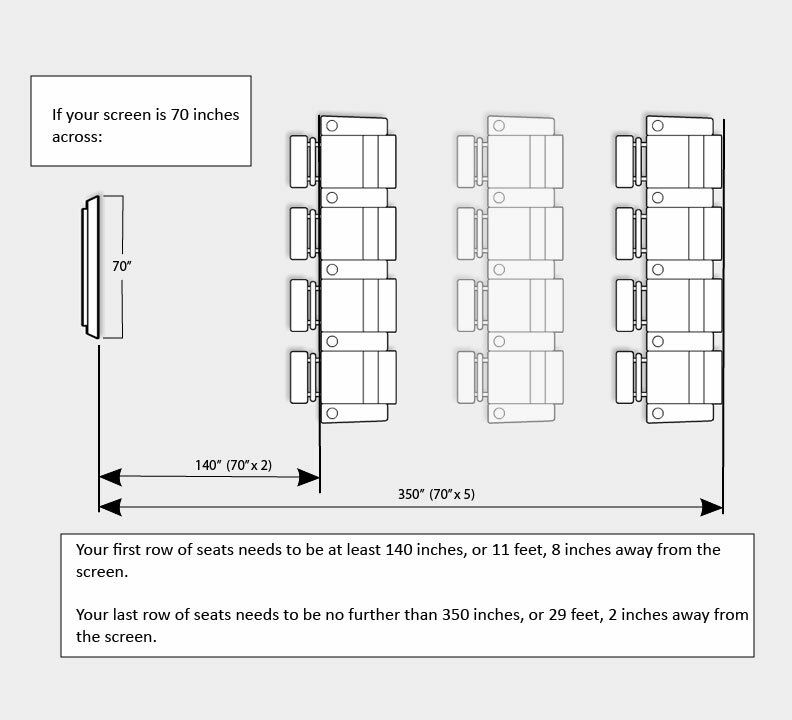 The seat dimensions are the easy part, the harder part is figuring out the placement of the furniture in relation to the other seats and the screen itself. The size of the screen in front of the seating plays a pivotal role in this decision. Knowing the furthest and closest that one can place the furniture is important. The formula for this is quite simple - take the horizontal - not diagonal - length of your screen and multiply that by 2X to get the closest to the screen and by 5X to get the furthest distance from the screen.